Habitat - Upland coniferous woods, hardwood forests, alluvial woods. 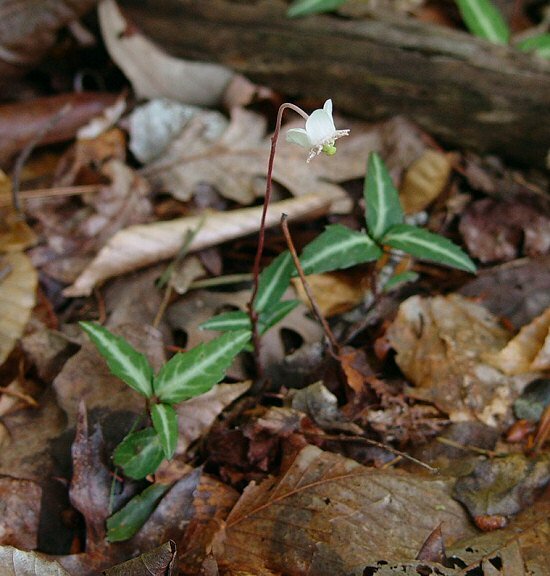 Other information - This attractive and popular species can be found mainly in the northeastern corner of Alabama and is also found in a few counties of the east-central portion of the state. 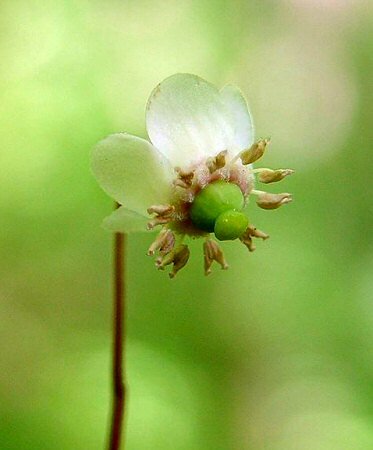 The plant can be easily identified by its creeping stems, striped leaves, and big flowers. 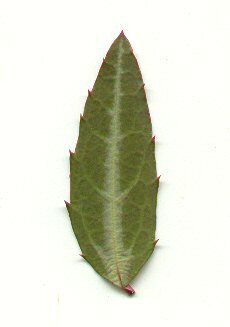 The leaves typically appear whorled below the inflorescence but are sometimes just scattered along the stem. 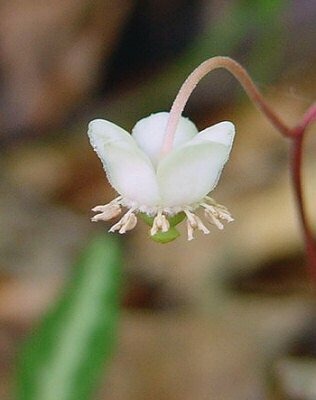 Although one of the common names of this species is "Spotted Wintergreen" this plant is NOT the edible wintergreen used to flavor candies and other savory treats. True wintergreen is Gaultheria procumbens L., a species which does not occur in Alabama. The genus name Chimaphila derives from the Greek "chima" meaning "winter" and "phil(a)" meaning "love" referring to the common name "wintergreen." The species epithet maculata derives from the Latin "macula(t)" meaning "spot, spotted" referring to the coloration of the leaves. This name is a bit of a misnomer as the leaves are striped and not spotted. The species epithet should perhaps be vittata which is Latin for "striped." Photographs taken in Brown Summit, NC., 6-7-02.